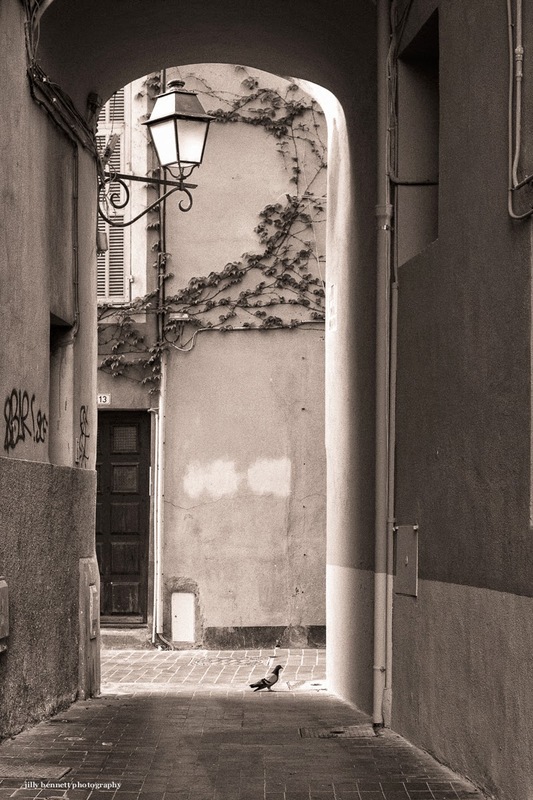 An alleyway near to Place aux Herbes, Menton. Une ruelle près de la Place aux Herbes à Menton. The pigeon is no doubt used to strolling that walkway. Jilly, is that a little door next to the bigger door in the background? This photo has a lot of intriguing details. Yes it houses either the electric metre or perhaps the water metre?